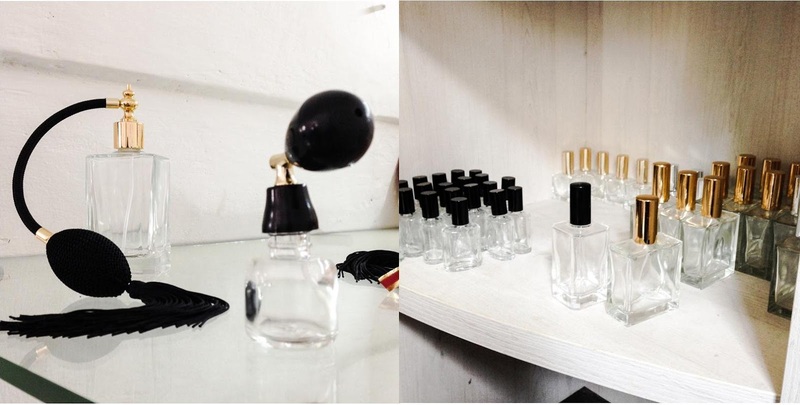 | ABOVE | Sniffing different oils to find the right ones to mix | BELOW | A technique used to blend different scents into one by crisscrossing the arms with scents in hand so to determine if that mixture is one you would like before placing it on a perfume bottle. | ABOVE | Clearly I found a scent I liked, I ended up doing a combination of no. 16 at fifty percent and no. 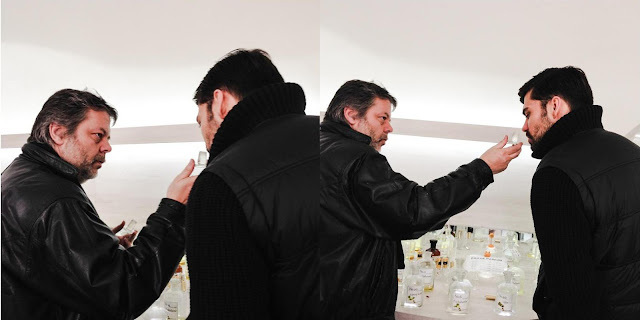 20 at fifty percent | BELOW | Different bottle options to chose from depending on your price point. | ABOVE | It was my husband's turn to pick out his scent | BELOW| His combination was no. 4 at fifty perfect, no. 18 at twenty-five percent and no. 34 at twenty-five percent. | ABOVE | Preparing my scent with the two oils I selected no. 20 Lipovy Kvet (Linden Blossom) and Zeppelin (couldn't find the English translation) | BELOW | You can also buy perfumes that have already been mixed by the perfumer. This is the last coverage of our weekend trip to Prague back in early May. As we were walking away from the Prague Castle through the stairs that lead to the castle, we stumbled upon this charming little shop that sells customized perfumes/fragrances, it was really a matter of fate as my husband and I had been discussing the idea of finding a place where we can create our own scent. When we stumbled on this shop, we were very excited and had to make the time to stop in and take a look. Needless to say we spend about almost an hour in there trying to create our very own perfume, my husband and I both walked out with scents of our own. My perfume is almost done, I know, that is how much I loved it, it has a soft but rosy smell to it so it is perfect for day time, my husband's is soft but musky and also a day time cologne. The best part of the whole experience is that you can restock your perfume/cologne by ordering it through their online shop. So once I am done with my perfume, I just send them the name of my scent and they will ship it to me, the other great part about it is that they ship worldwide. 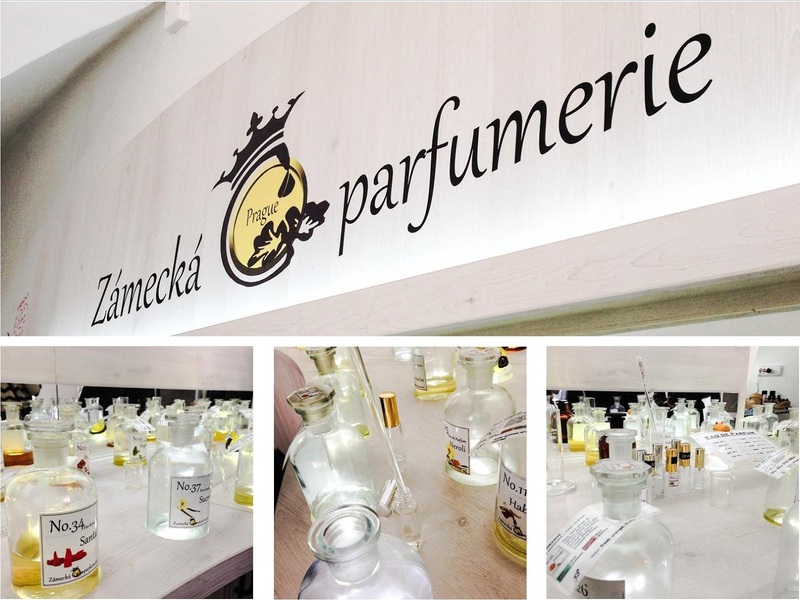 If you are ever in Prague, you have to make a stop at Zámecká Parfumerie, you won't regret the experience.